Renew Construction Services LLC. Is a 100% Woman Owned, Small Business Entity that creates lasting relationships with our commercial clients and prime contractors. 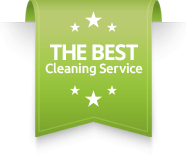 Our cleaning strategies are designed and managed to shift the cleaning burden from you to us. A common theme for these relationships is the use of effective management strategies and best commercial business practices geared to deliver discernible benefits. Our state-of-the-art janitorial services, techniques, and processes provide our clients with the results they expect. Daily and weekly options, 24-hour a day service and a large service area covering Tampa Bay and surrounding areas, makes us the convenient option to attend to your janitorial needs. We aim to be a national market leader for reliable, quality and cost effective cleaning services for commercial, government and residential customers. We are committed to providing a memorable service to our customers to continue to grow our business across the nation. Renew Construction Services LLC is a 100% woman-owned, small business entity that creates lasting relationships with our commercial clients and prime contractors. Our cleaning strategies are designed and managed to shift the cleaning burden from you to us. Hauling services, include site clearing, high volume hauling, dump trucking, excavation, sand, fill dirt, soil, gravel, landscape and spreading services. A common theme for these relationships is the use of effective management strategies and best commercial business practices geared to deliver discernible benefits. Renew Construction Services was founded and is now led by Robyn Donaldson. She has over 20 years of experience in residential and commercial building. She has also provided post construction cleanup, and janitorial services. Mrs. Donaldson has been a managing member of Renew Construction Services since 2014. She provides the business with organization strategies to align resources, increase sales and see that each cleaning job is done to complete satisfaction. 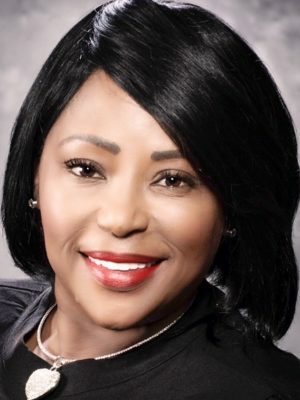 She’s a certified Community Real Estate Development professional and is currently pursing an Architectural Design and Construction Building degree at Hillsborough Community College. She is the Vice President of NABWIC National Association of Black Woman in Construction, NWFL Chapter. Alongside her efforts in NABWIC, she is also a participating member of AIAS- American Institute of Architecture Students 2016 and ACI-American Concrete Institute 2016 and was a former president of EGBD- Emerging Green Builders and Designers 2016. We’ve earned a name for quality and customer service. The businesses and residents we serve rely on us for detail-oriented, consistent cleaning services, every single time we clean. The experts at Renew Construction Services are committed to providing thorough cleaning services for our valued customers nationwide. In order to accomplish this goal, we adhere to strict standards that remain consistent across the board. Our company is fully bonded and insured, which means you can have peace of mind when you hire us as your cleaning company. It means every individual hired at Renew Construction Services goes through a thorough screening process, and then is trained in every aspect of professional cleaning services. This ensures high-quality service every time.